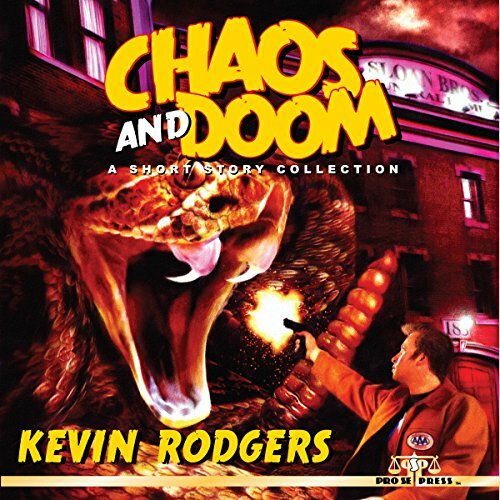 Pro Se Productions announces the release of author Kevin Rodgers’ CHAOS AND DOOM: A SHORT STORY COLLECTION as a high quality audiobook produced by Radio Archives! Featuring a cover by Jeffrey Hayes and a chilling performance by Adam Zens, CHAOS AND DOOM is available as an audio download via Amazon at http://www.amazon.com/Chaos-Doom-Short-Story-Collection/dp/B01CDFX1WI/ref=sr_1_1?ie=UTF8&qid=1456854450&sr=8-1&keywords=Chaos+And+Doom+by+Kevin+Rodgers. CHAOS AND DOOM: A SHORT STORY COLLECTION is available in print and digital formats at Amazon and www.prose-press.com. PULP JUSTICE IN PRINT! ‘THE PEREGRINE OMNIBUS TWO’ NOW AVAILABLE NOW FOR YOUR BOOKSHELF!